Yesterday, Sony announced a press event for September 2, 2015 during the IFA. Their next Xperia flagship Smartphone is expected to be unveiled during this event, which will be succeeding the Xperia Z4. 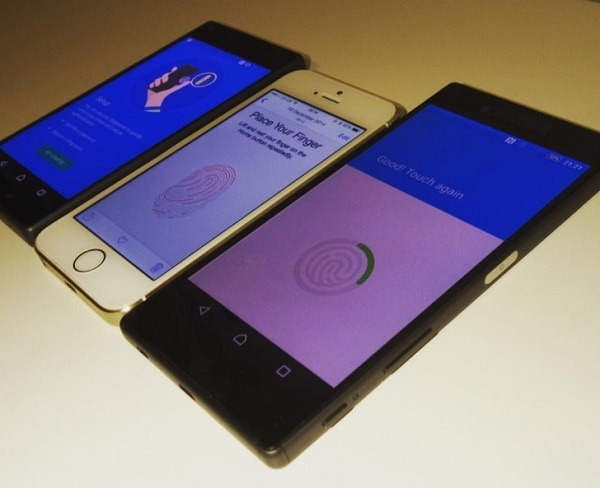 This flagship is probably going to be called Xperia Z5, and it could be the first in the Xperia line to feature a fingerprint scanner. The leaked image as you can see below is purportedly depicting the Xperia Z5 to the right of an iPhone 5S, while the Z5 Compact is said to be to the left of the iPhone 5S in the comparison picture. As there's no way to confirm this picture's authenticity, a healthy dose of salt is required for this one. If it is the real deal, however, then we're looking at the first two Xperias with fingerprint sensors. These will be embedded in the power buttons of Sony's new phones, which will be located on the right side of each handset - a placement which hasn't changed in years. Sony would be the first manufacturer to put a fingerprint sensor on the side of a device if this comes out to be true. We've seen a lot of designs that embed the Fingerprint Scanner in the Home button below the screen just as it is on the iPhone 6, and others which go for a rear-placed sensor under the camera. And now this is new and different. The Xperia Z5 seems to also have a dedicated camera shutter button, and the volume buttons are under the power button, all on the same right side. Additionally, the leaker of this image says the Z5 line will not feature the USB Type-C port. So let's fold our arms and wait till September 2 to know if the Xperia Z5 is exactly what we are seeing here.